The Co-op Local Community Fund helps local projects that their members care about. Every time members shop at Co-op, 1% of what they spend on selected own-branded products and services goes to help fund community projects where they live. We were delighted to be chosen as one of the local causes and partnered with three Co-op stores in 2018. 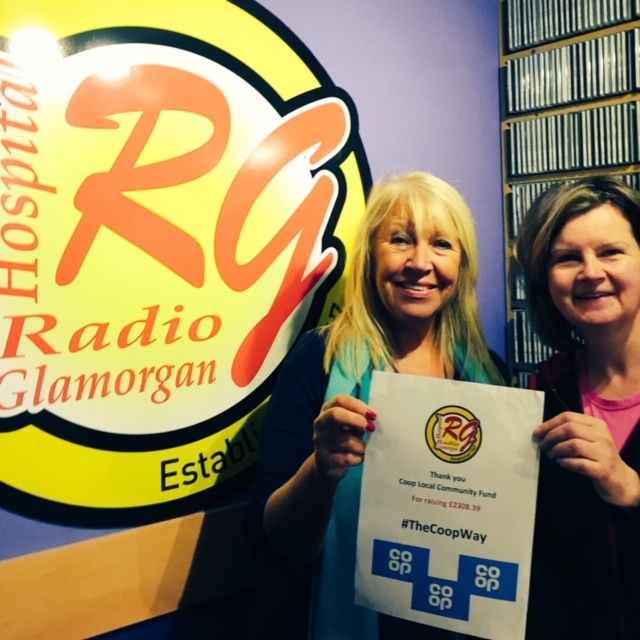 During the year there have been many opportunities for us to fundraise and raise our profile. 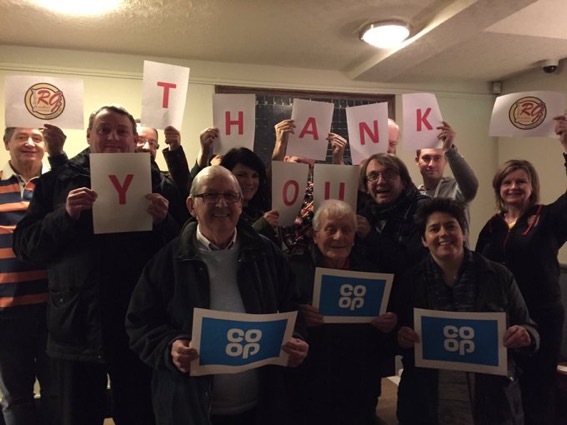 WE’D LIKE TO SAY A BIG THANK YOU TO CO-OP AND ITS WONDERFUL MEMBERS FOR THEIR SUPPORT HELPING TO RAISE… £2308.39! Money raised will go towards the refurbishment of our office area to make it a space for volunteers to improve their communication, broadcasting and technical skills-enriching their voluntary contribution and provide a welcoming space for guests to the studio. We were delighted to be joined by Maria Battle (below), Chair of Cardiff and Vale University Health Board to help us say thank you to the Co-op.